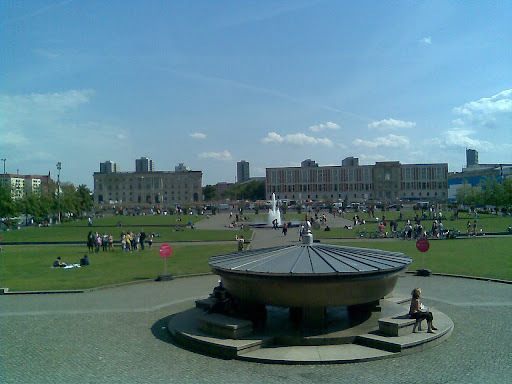 A huge bowl in the Lustgarten (pleasure garden) in front of the Altes Museum, Berlin is reportedly World's largest granite bowl made from a single stone. Officially known as "Granitschale" (meaning Granite Basin or Bowl) it is more popularly known as the "Berlin Soup Bowl" (Suppenschüssel). 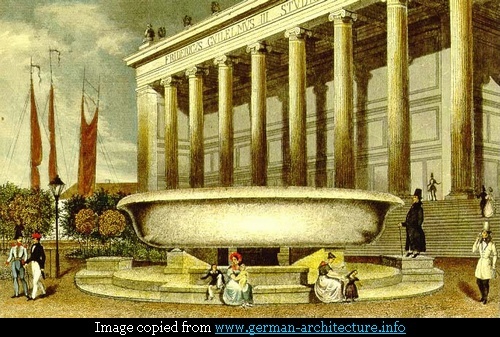 The huge bowl was ordered to be made by King Friedrich Wilhelm III, who, as a symbol of Prussian supremacy, wanted to build the biggest bowl, bigger than the Nero's giant bowl kept at the Vatican Museum, which was historically used to represent kingship and majesty. Christian Gottlieb Cantian, a German stonemason and royal builder was entrusted with the work and it took him about seven years to complete the work based on the designs of architect Karl Friedrich Schinkel. The bowls which weighs about 75 tons was chiselled out of one of the two huge solid granite stones in the Brandenburg region known as Mark Graf Stones. It is considered a technical marvel of that time to transport such a huge piece of stone weighing about 700-750 tons, over land and water and then cutting and polishing it. The final grinding to give it the desired shape and polish was carried out by means of steam engine and took about 2 1/2 years to finish. The granite bowl has a diameter of 6.9 metres and a circumference of 21.7 meters. 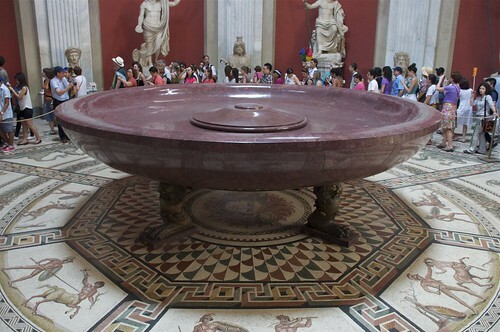 In comparison the Nero's Bowl in the Vatican Museum has a girth of about 14 meters. Originally it was planned to keep the bowl in the rotunda of the Museum but because of its size and weight it was finally installed in the garden in front of the Museum. It is so huge that at the time of its inauguration in 1834, a breakfast was served to a group of 40 persons sitting on the edge of the bowl. 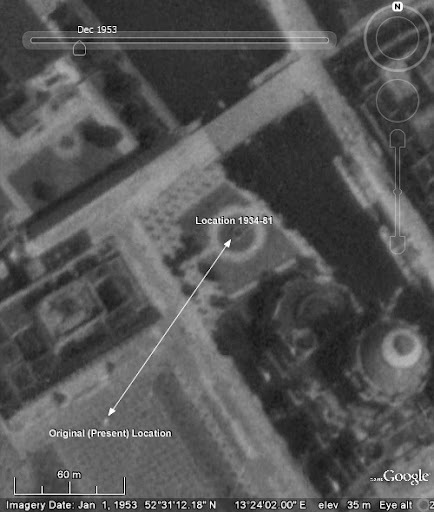 During the Hitler era, the space in front of the Museum was used for massive rallies which Hitler loved to organise. The "Soup Bowl" was therefore shifted in 1934 to the northern grounds of the nearby Berlin Cathedral. It survived the ravages of the Second World War, except for some bullet markings and chippings. In 1981 it was restored back to its original (present) location. Unfortunately during this re-shifting, due to mishandling, it broke in two pieces and had to be cemented in one piece. Technically speaking it is now, no longer the largest single piece granite bowl. In winter the bowl is protected from frost by a cover plate.